Meet Ransom, a beautiful four year old palomino. 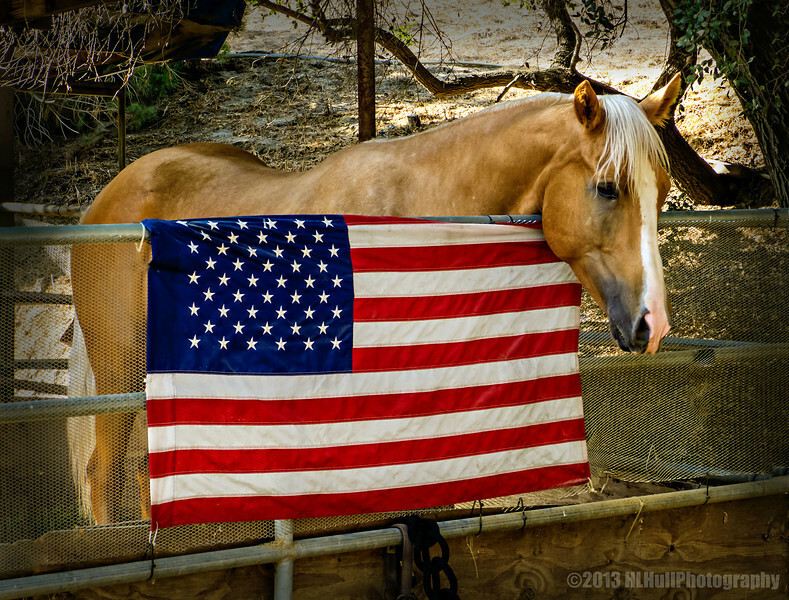 His owner was kind enough to get him to pose by Old Glory that she had hung on his corral. Thank you for your comments on my "H" for Harlequin bug post yesterday! Terrific shot! Lovely horse, very patriotic. My favorite kind of horse and this is a beautiful one. The capture next to Old Glory is just wonderful!